Home » News » Exciting Announcements for 2015! 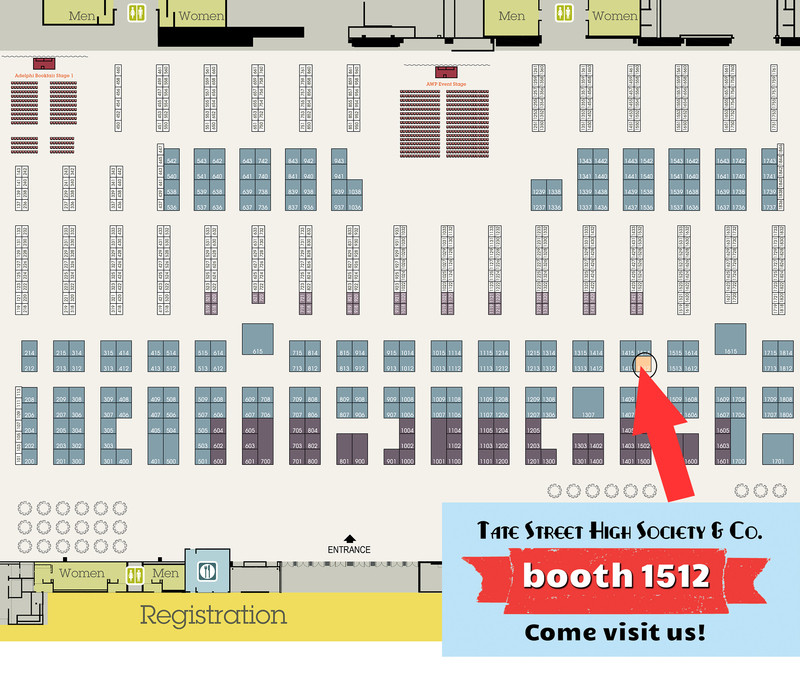 We have a booth at AWP! We will be there with bells on, interviewing the luminaries of the field for our brand new podcast, “In the Margins.” We’re looking forward to hearing more from the authors, editors, and participants from around the world who will be converging on Minneapolis, MN. If you know someone who would be a great interviewee, and would like to nominate them for a future podcast, please let us know by emailing writeus@tatestreethighsociety.com. The AWP Conference & Bookfair is an essential annual destination for writers, teachers, students, editors, and publishers. Each year more than 12,000 attendees join our community for four days of insightful dialogue, networking, and unrivaled access to the organizations and opinion-makers that matter most in contemporary literature. The 2015 conference will feature over 2,000 presenters and 550 readings, panels, and craft lectures. The bookfair hosts over 700 presses, journals, and literary organizations from around the world. AWP’s is now the largest literary conference in North America. Join us in Minneapolis to celebrate the best of what contemporary literature has to offer. NEW PODCAST LAUNCHES FEBRUARY 2015! “In the Margins” with Abigail Browning and Guests. Subscribe and listen here! About the podcast: Get inspired! 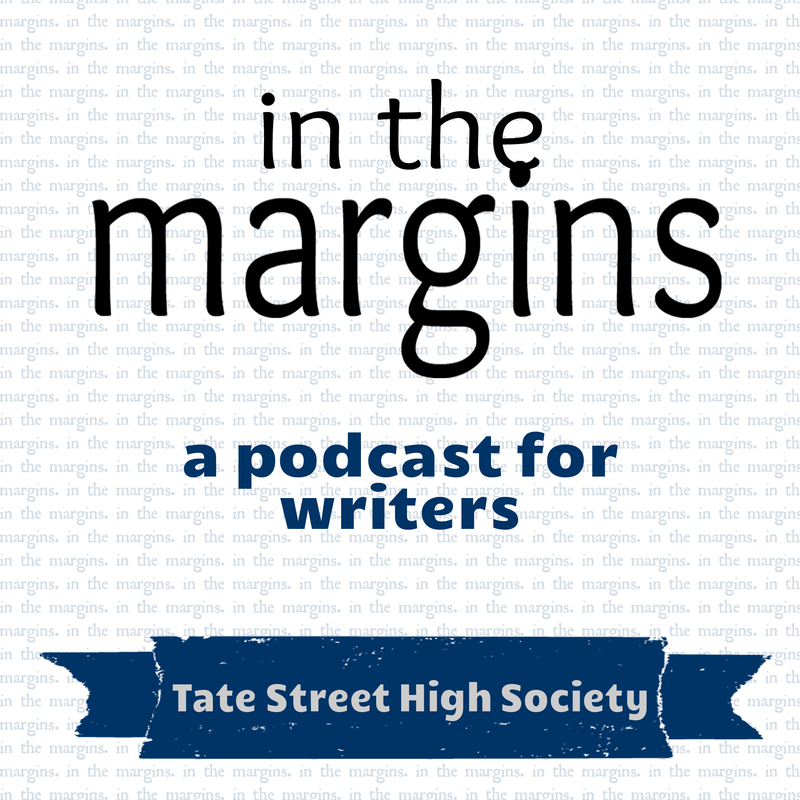 Produced by Tate Street High Society, “In the Margins” is a biweekly dialogue with Abigail Browning and special guests about the creative process of writing, publishing, and the inside knowledge of the literary world. Listeners of all skills, backgrounds, and interests are invited to share in the conversation with editors, writers, and creative minds. We released our initial episode as a special Holiday gift to our current readers. Additional episodes, on a biweekly basis, will be published starting in February. Thanks to our newest team member, Ray Crampton for all of his work! Thank you to everyone who has followed us on Twitter, Facebook, or here on the website! Let us know your thoughts in the comments, and as always, keep writing!